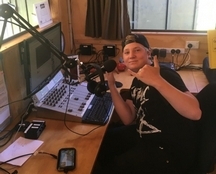 Great Barrier Island's amazing little radio station, Aotea FM, has come a very long way since it's extremely humble beginnings some 12 years ago. 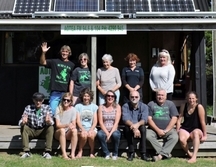 These days locals and visitors enjoy a "unique and diverse range of entertainment, being determined by a variety of very creative and enthusiastic presenters." The station is 'run by the sun' with a little help from the wind and a lot of help from the many volunteers working behind the scenes... and in front of the mic! 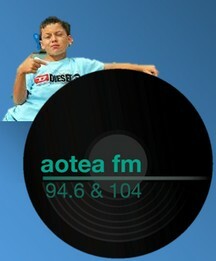 Aotea FM has become an essential part of local life and provides an enormous amount of up to date community and visitor information. Want to know what movie is showing at the club this week? Wondering what the weather will be like for the weekend? What's on where and when? Tune in to stay informed. Feel like listening to a little jazz? Want to kick back with some Cool Grooves & Hot Tracks? Prefer to get your pogo going with a little Monday arvo punk rock? 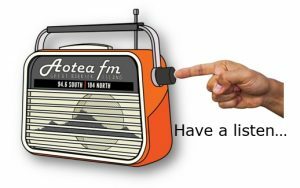 How about a touch of kiwi reggae & dub for breakfast? Or a mix of the Classics and the Current for lunch? Tune in to stay entertained! You'll find us in the paddock, right next door to the Claris Shopping Centre. Got a request? Give us a call on 09 4290 945 and we'll give your favourite track a spin.